Our bred heifer consignment is one we shouldn’t be letting go. Out of a great EXAR Lutton daughter, JBV Ava has that brood cow look. Moderate framed and as complete as you can find them, she typifies the UB daughters we have retained. 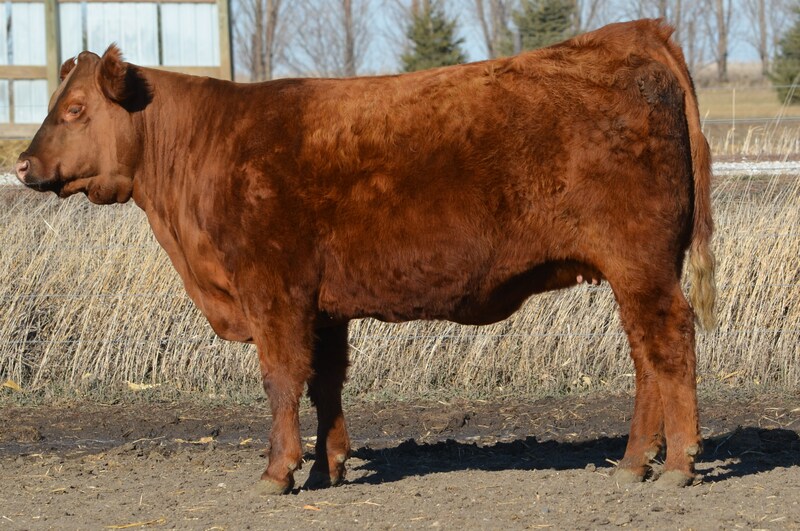 Bred to ROMN Tuff Enuff on 6-12-2013 for a March calf, she’ll have a baby at less that 22 months attesting to her inherent fertility.